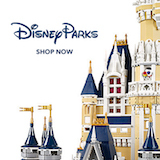 FAQs - Bay Lake Tower - DVCNews.com - The essential Disney Vacation Club resource! Where is the check-in location for Bay Lake Tower? Guests check-in at the front desk of the Contemporary Tower. Bay Lake Tower does not have its own front desk. Is a room key needed to access Bay Lake Tower? Yes. An active room key is necessary in order to access all areas of Bay Lake Tower including the front entrance, suspended bridge which connects Bay Lake Tower to the Contemporary Tower and the Bay Cove Pool. Does Bay Lake Tower have WiFi? Yes. As of the fall of 2011 all Disney Vacation Club resorts are equipped with complimentary wireless Internet service. Where are the laundry facilities for people staying in Deluxe Studio villas? Laundry room is located on the first floor for all guests. A Key to the World card is necessary in order to access the laundry room. There are three washers and six dryers. How do you get to the fireworks viewing platform, and is the music piped in? In order to gain access to the Top of the World Lounge and viewing platform, guests must check in with a Cast Member in the lobby of Bay Lake Tower. Each member of the party must present their Bay Lake Tower Key to the World card and one member of each party must present a Disney Vacation Club Member ID card. Eligible guests will be escorted to nearby elevators and granted access to the lounge and platform on the hotel's 16th floor. The soundtrack from the current Magic Kingdom fireworks presentation will be played throughout the lounge and viewing platform. Where can guests dispose of trash and recyclables? There is a trash / recycling room on each floor towards the middle of the building.